Kevin Harvick, driver of the No. 4 Jimmy John’s Ford Fusion for Stewart-Haas Racing (SHR), heads to Talladega (Ala.) Superspeedway for Sunday’s 1000Bulbs.com 500 Monster Energy NASCAR Cup Series race with breathing room in the point standings to make a calculated risk and go for the win. Harvick kicked off the Round of 12 of this year’s Cup Series playoffs on “The Monster Mile” at Dover (Del.) International Speedway last weekend with a dominant performance that included two stage wins, 286 laps led, and the points lead after his sixth-place finish. The No. 4 Jimmy John’s team now has a 68-point lead for the final transfer position to the next round with two races remaining in the Round of 12. The most points a driver can score in a single race is 60, which means Harvick has breathing room to go for stage wins and the race win this weekend. The 2014 NASCAR Cup Series champion’s lone Cup Series win at Talladega came in April 2010, when he started fourth and beat runner-up Jamie McMurray by .011 of a second – one of the closest finishes in series history. 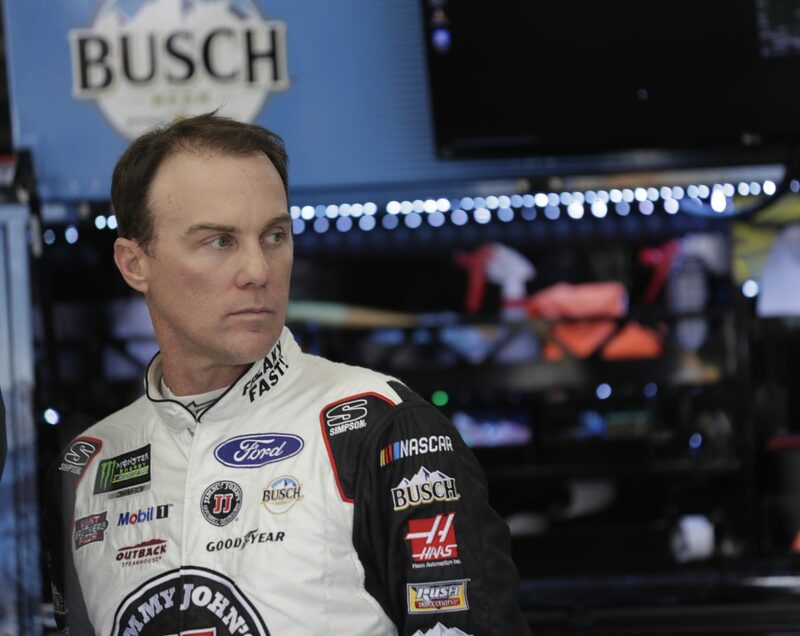 While Harvick has just one win at Talladega, it has also proven to be a challenge for the team in recent years. He has scored one top-five finish, five top-10s and led 58 laps in his last nine races there since joining SHR. The good news for Harvick and the No. 4 team is that their most recent trip to the 2.66-mile superspeedway last April was their most successful as a group. The team scored the Busch Pole Award with a lap of 49.247 seconds at 194.448 mph, led 12 laps and finished fourth. In addition to his solid performance at Talladega in April, Harvick and the No. 4 team continue to be the class of the field during the 2018 NASCAR Cup Series campaign, leading the series with seven wins, 20 top-five finishes, 25 top-10s, and 1,560 laps led. They also rank second with an 8.6 average finish and are tied for third with three Busch Pole Awards. A win at Talladega would mean he automatically qualifies for the Round of 8, but additional stage wins and race wins mean extra playoff points as he progresses through the playoffs. In addition to his strong performance at Talladega in April, Harvick also performed well at Kansas Speedway in Kansas City earlier this year, the site of next week’s final race in the Round of 12, when he won from the Busch Pole position and led 79 laps. For the No. 4 team, the focus this weekend is on starting up front, leading laps, winning stages and winning the race – but the big-picture goal remains advancing to the next round of the Cup Series playoffs and winning a second championship. The quickest way to reach that goal is to win this weekend at Talladega. What do you need to do at Talladega to beat the Penske cars there?